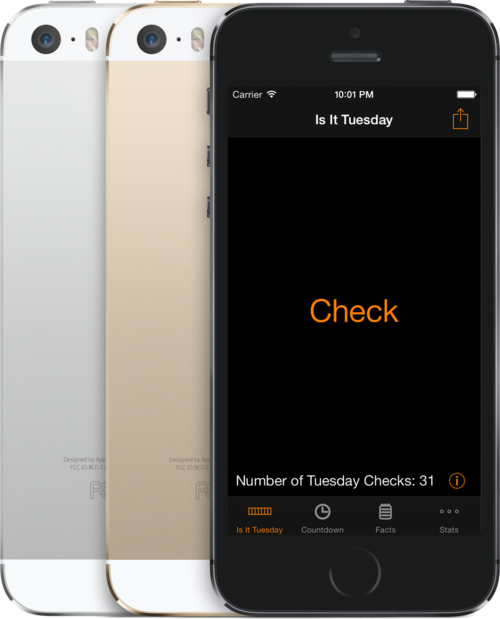 Is It Tuesday, Version 3.0, for iOS 7 is now available. The code was rewritten from the ground up and now includes a unified set of features on the iPhone and iPad. Updates will now come out on a monthly schedule. So here is November, 2013: Version 3.0.